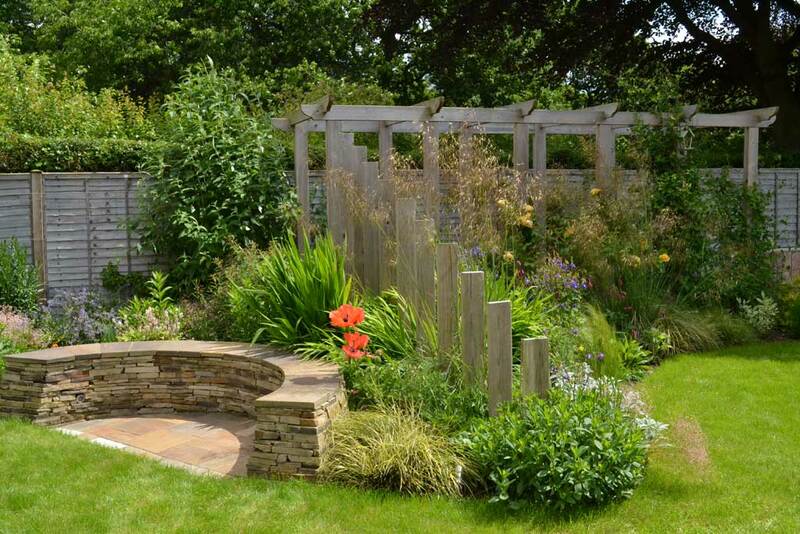 Today’s inspirational garden in Wylam, Northumberland belongs to Julie Johnson and was design by Sophia’s Gardens. 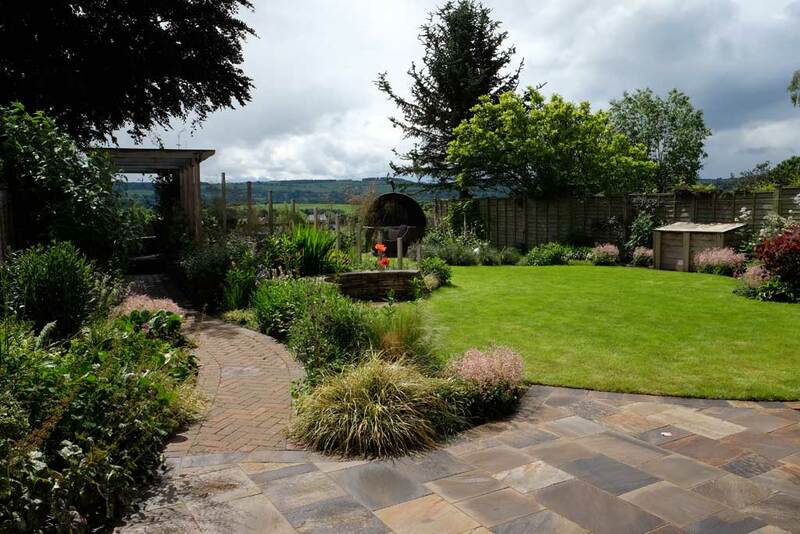 Julie’s garden is much larger than the hunters, but the garden has been designed to make the most of the wonderful view in a similar way to what we planned for the Hunters. 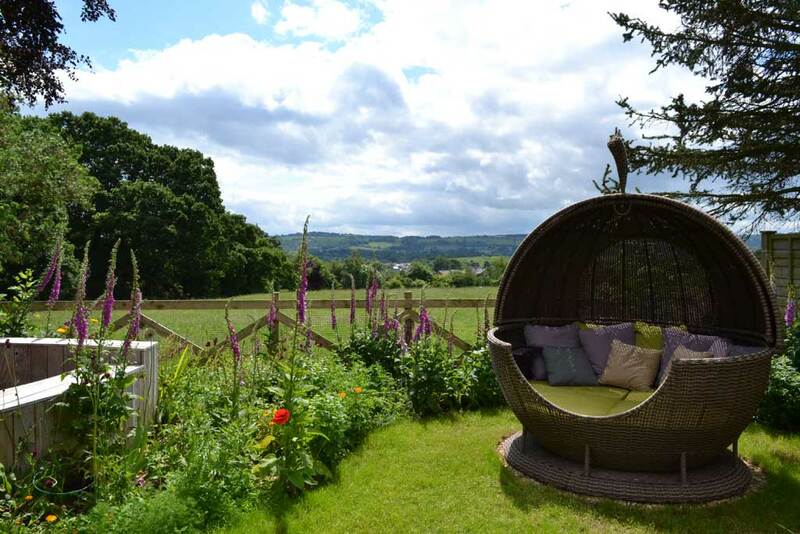 The use of natural materials, varied fencing and use of height in raising yourself up above the surrounding landscape to make best use of the view also gave Alan some tips that he brought back with him.